From left, Daylin-Rose Heather, Arlette Harada, Chief Justice Mark E. Recktenwald, Gilbert Doles, Dana Barbata, and Sergio Alcubilla. 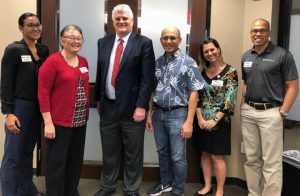 Honolulu District Court Access to Justice Room volunteers were honored at a breakfast sponsored by HSBA and the Legal Aid Society of Hawaii on March 12, 2019. They represented law firms and other organizations who provided free legal advice to the public on Mondays and Wednesdays from January to May 2018. Chief Justice Mark E. Recktenwald thanked the attorneys for contributing their time and talents. He also thanked Legal Aid and HSBA for their tremendous support in making the Access to Justice Room available to individuals needing legal guidance. The Honolulu District Court Access to Justice Room first opened in August 2012 as a collaboration between the HSBA, Judiciary, Hawaii Access to Justice Commission, and Legal Aid. Since then, it has had over 5,000 visits from people seeking help with their civil legal problems. 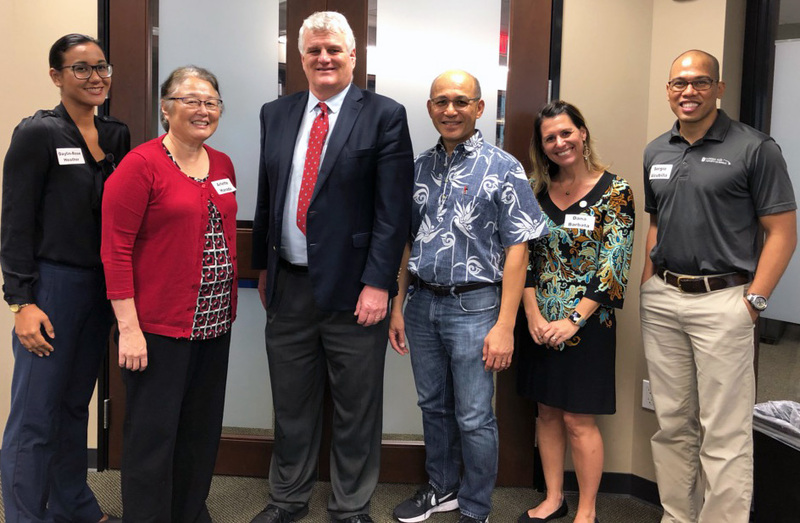 Thanks to these volunteer attorneys, who commit their time and skills to ensure access to the legal system for those in our community, the program has been a success.